It keeps me busy and mindful of my posture. You can also unplug it, stretch it back up, and then reinsert the plug. I now have another student using it with the same successful results!! I would recommend this to any teacher and it was worth every penny. Sadly, I will have to wait for our fund raiser in the next school year to buy another. Please don't run out!! Thank you, thank you, thank you! I wish I could give it a 10 star. Great addition to my office. I got the wide one - so I can sit with my feet up (lotus pose, etc.). Surface is a bit hard and cold to sit on all day, so I put a cushion on. Overall quite happy. I love this stool. I use it as my sewing stool. Much easier and comfortable than a chair! 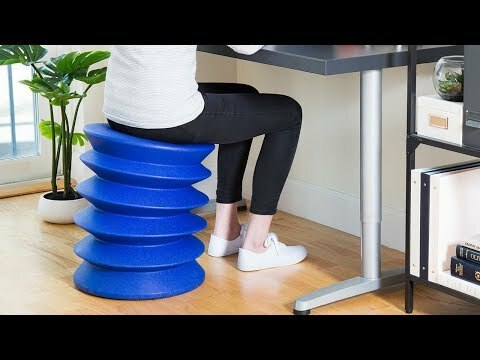 I received my adult active sitting stool just after Christmas. It was delivered with no problems. It was ready for use right out of the box. 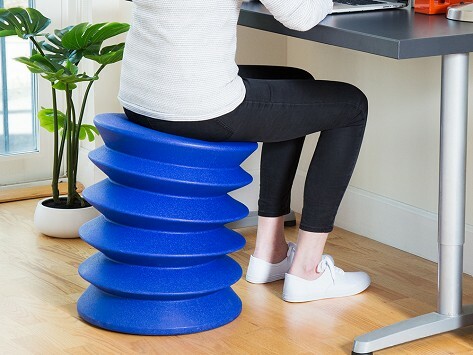 It provides great support for my back to sit up straight with no pain. Like most of us, I spend far too much time sitting at my desk. I get absorbed in a project and before I know it, two or more hours have passed and I am stiff and sore from poor posture. Not with this stool.